Hi ya everyone! 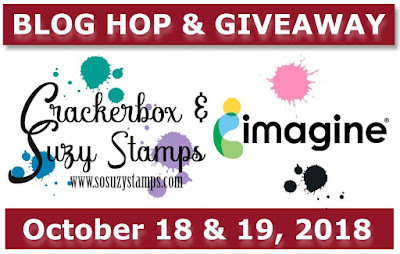 I'm excited to be participating in the fun blog hop with Crackerbox & Suzy Stamps and IMAGINE! You know my love for Imagine products and it's so fun to use them with a fabulous stamp company like Crackerbox and Suzy! Today, I used the fabulous stamp Blowing Leaves and the sentiment Autumn Dancing! I stamped them on watercolor paper. Then used my favorite Memento Dye inks to watercolor the leaves or smoosh into the background with water. I love how I got to totally different styles with the same colors of ink just used in a different way! I also stamped the sentiment in Nocturne Versafine Clair. It's not easy to stamp on rough watercolor paper, but this turned out perfect with Versafine Clair. I also added pico embellisher on the leaves I watercolored carefully. Then was able to add the blue background ink to paint the sky. I used the following Memento Inks: Lady Bug, Dandelion, Potters Clay, Morroco, Rich Cocoa, Bamboo Leaves and Summer Sky. 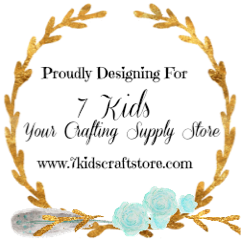 Make sure to comment on each blog! 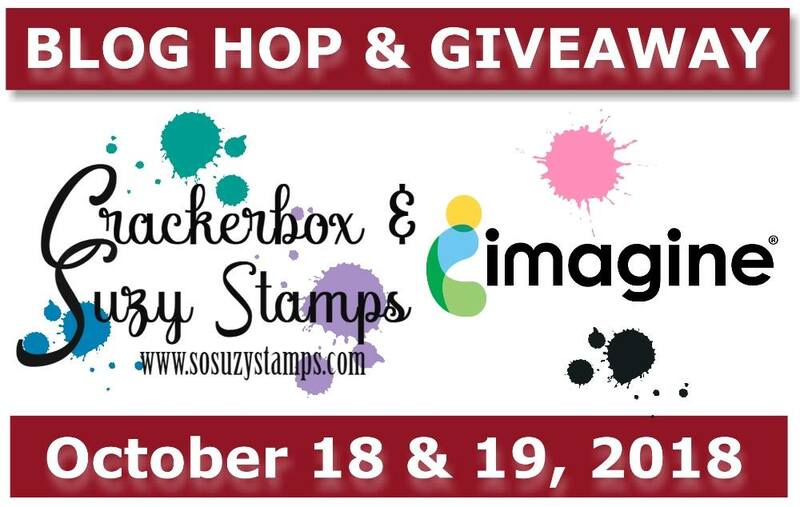 We have two days of hopping and if you hop and comment on both days you will increase your chance of winning either a $25 gift certificate to Imagine or Crackerbox and Suzy! Below you will find the links to today's hoppers! 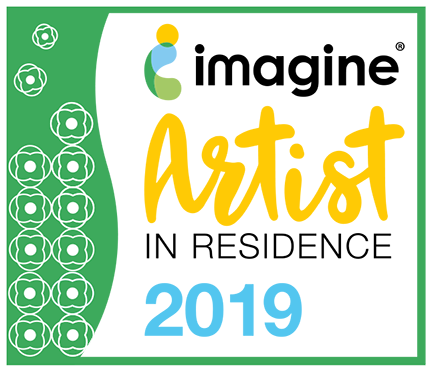 Make sure to look on the Imagine or Crackerbox and Suzy blog to find all the fabulous information! 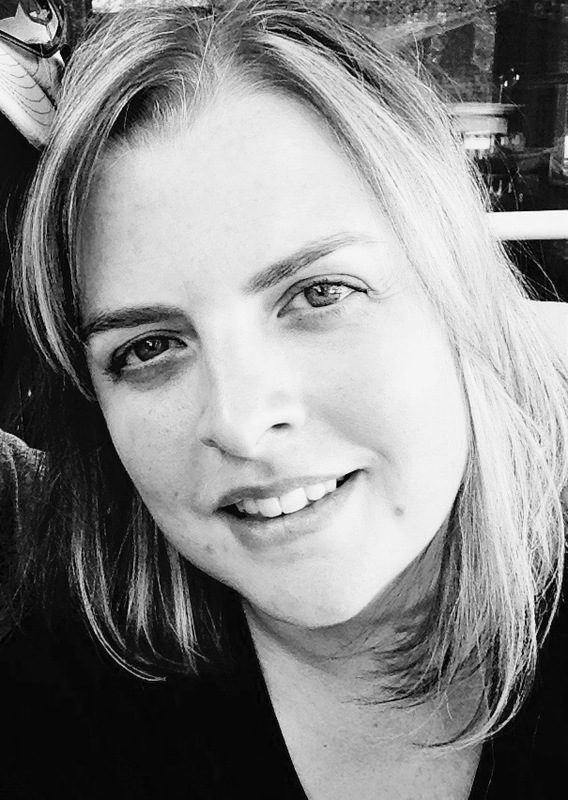 Melissa Andrew - you are here! Great cards and I love the beautiful colors you used. So pretty! Beautiful Autumn cards. I like this stamp--the leaves really look like they are moving. I love this stamp and both ways you colored it are amazing! Both that stamp and the background are great. The sentiment is so perfect. Oh wow! I love how you got two totally different cards with the same colors and technique. Very nice. 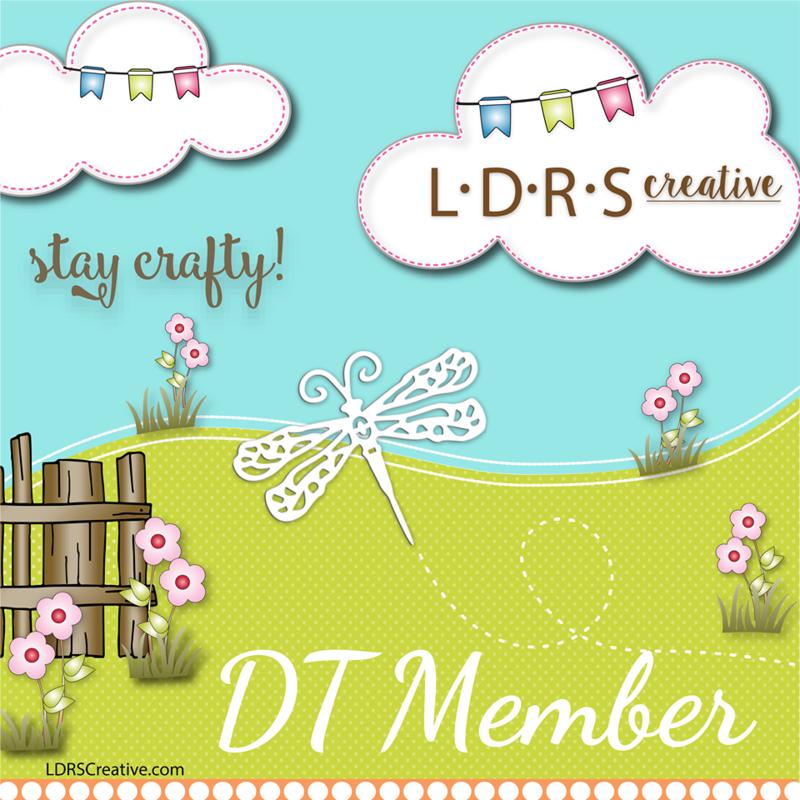 Love the background you created...great cards. Really show off the great image! Wonderful palette that is perfect for the season. Thanks for the inspiration. Beautiful cards! Such great color choices for each card too! Beautiful cards! I love the designs and colours! 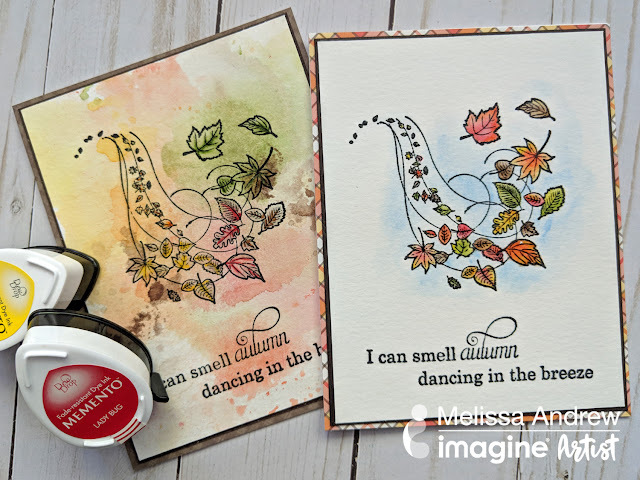 Beautiful cards with the Blowing Leaves stamp! Love your pretty color combos!